Add Grape Seed X (75% OPC) to your Favourite Herbs list. Herbosophy's Grape Seed X is a concentrated extract made from pure Vitis vinifera seed and standardised to contain at least 75% OPC's with every serving. Grape Seed X Extract is concentrated and without fillers or preservatives and is freshly encapsulated for you at order or packaged as loose powder: the choice is yours. 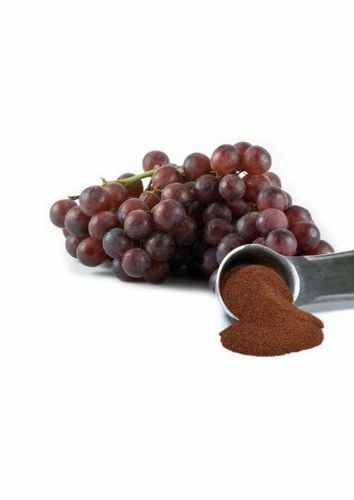 Vitis vinifera is traditionally considered by Herbalists to be Cold and Drying and has been a popular fruit worldwide for culinary, cosmetic and health use. Thank you for a pure and high quality product. Looking for a high concentrate Grape seed extract, Herbosophy came to the rescue. Great price and excellent service - thank you! Been searching for grapeseed capsule online for almost 100% grapeseed extract. Then I came across this website. Its much cheaper than other sites & it's really good! Thanks heaps herbosophy.